Welch's "Hopsack" suspenders are considered by many to be the top shelf logging suspender on the market today--the best choice for those that work in their suspenders. 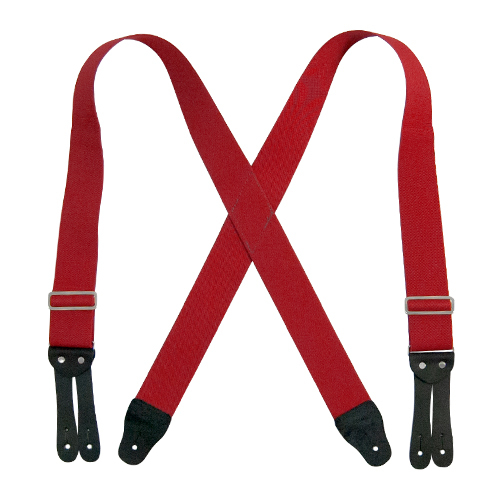 And it's hard to argue that viewpoint, as these suspenders are favored by loggers, volunteer fire fighters and other similar workers. Welch prides itself in working with USA mills producing high-quality elastics. Equipped with Genuine Leather Ends (LEF) made from 6.5 - 7.0 oz oil-tanned upper leather.